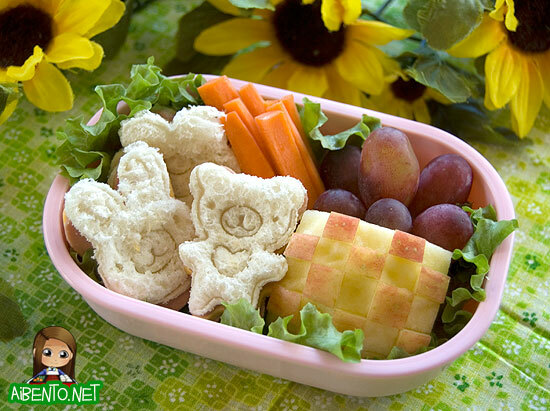 Today I will be down at the Blaisdell Exhibition Hall to do a Yum-Yum Bento Box demonstration for the Oh Baby! Family Expo. If you’re planning to be there, make sure you attend my demo at 12:30 PM. It will be at the smaller demo area on the left side of the Hall as you come in. Hope to see you there! Here’s one of the two bentos I will be showing people how to make at the show. This one isn’t technically in the book, but I loosely based it off of the Guardian Angel bento on page 28 of the book. I’m doing two simple sandwich bentos today and will be doing a more complicated bento tomorrow at 2:30 PM. If you were watching KITV News This Morning, you may have been able to catch me giving a little overview of these two bentos. I’ll try to have a clip of it up next week or so. My picture also appeared in print promos in last Sunday’s Star Advertiser and this week’s Midweek, though I haven’t seen that one. One other thing, I was an extra last month for Hawaii Five-O and my episode is going to air this coming Monday. Keep a look out for me. I’m both a bank customer (wearing a brown business suit) and a… police officer! Hahaha! Oh yes! Though I don’t think I got on camera as an officer, I did get to stand right next to four different actors at once. Alex O’Loughlin, Grace Park, and Daniel Dae Kim all stood around discussing the scene right next to me between takes. That was awesome. Even though I’m a huge LOST fan, I was more in awe of Grace Park, since I was also a serious Battlestar Galactica fan. She’s stick thin, but seemed very nice. It was a great set and a great crew and I would love to work for them again. Sadly, the only call I got for Battleship ended up being a false alarm, as they picked a guy else for the part. MAN was I bummed! Something exciting for the people who attend: I’ll be giving away one of my books at the end of the demo on each day! You must be present to win, so be sure to stick around and I’ll sign it before giving it to the winner. Time again for the Oh Baby! Family Expo – Hawaii’s Largest Baby, Kids and Family Show! Ballet for 2 year olds…Star Wars character visits… advice on the best way to save for your child’s education….. and best recipes for fun, healthy kids lunches. Where can you find all of these things and more under 1 roof? The most exciting event of the year for young families is coming up this October 9 & 10 – with the return of the annual OH BABY! FAMILY EXPO 2010 at the Neal Blaisdell Exhibition Hall. Once again the Oh Baby! Family Expo features products and services from over 150 vendors. It is Hawaii’s largest baby and kids expo packed with valuable information and tools to make family life easier and more fun. All the cutting edge, latest trends for kids under one roof! There are unique ideas for 1st b-day parties, baby boutique stores, photographers, children’s’ activity play centers, preschool representatives…..and much more. The Expo is not just for expectant moms – it’s fun for the entire family. It’s a great place for friends, aunts, uncles and grandparents to find the perfect gift! And, our most popular events are back again! Moms and dads love cheering on their tiny racer for this event! – everyone gets a gift for entering and the top baby wins a great grand prize. Royal Academy of Ballet performs and shares techniques for teaching ballet to toddlers. Christian Homeschoolers of Hawaii will talk about their experiences of homeschooling, the process, the resources available for homeschoolers and have a question and answer available to inquiring parents. Worried about how you’ll afford your child’s education? Mutual of Omaha presents easy ways to start saving now and be ready for college! Meet Dr. Mom! the only Pediatrician in Hawaii who makes house calls. She’ll share more on the 5 most common illnesses parents face with their newborns and how one can prepare a medical kit at home to be prepared for the common illnesses. 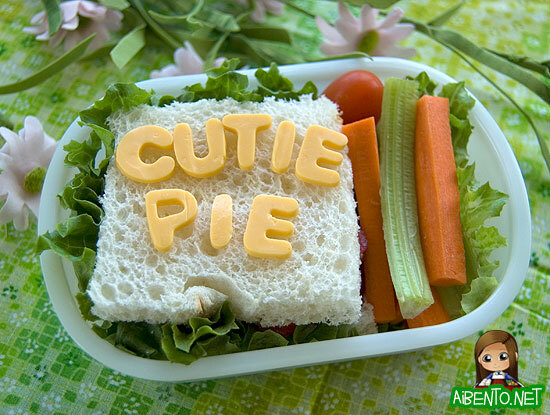 Yum-Yum Bento Box presents fresh recipes for adorable lunches. Come watch a brief demonstration of simple ways to make healthy lunches more fun for kids and adults. And, the whole environment is family-friendly with an Infant and Toddler Play Area, a Baby Changing Area, a Mother Nursing Area and Extra Wide Stroller Friendly Aisles.